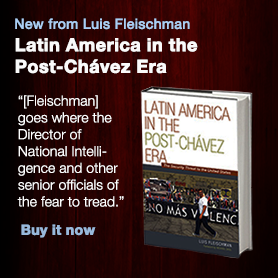 While the Financial Times and some other mainstream media have described Bolivia as having a successful business model, these publications along with certain academics have overlooked its political tilt towards authoritarianism. Bolivian President Evo Morales has been praised— despite his anti-capitalist and anti-Western rhetoric— because he has acted pragmatically, seeking foreign investment and maintaining partnerships with foreign companies in their exploitation of natural energy resources. Some have argued that although Morales campaigned in favor of nationalizing industries such as oil and gas, his nationalization programs have in reality been limited to the renegotiation of energy contracts with foreign companies. Morales continues to maintain communication with private banks and other capitalistic elements. Likewise, he has also courted support from Wall Street. Morales’s desire to stay in office indefinitely may recall Venezuela’s Chávez. But ultimately we see him as a distinctly Bolivian kind of left-wing leader, constrained by economic and political forces that do not exist in Venezuela. To win Bolivia’s October 2019 presidential election, Morales must uphold the social contract he made with the country’s popular and indigenous majority. 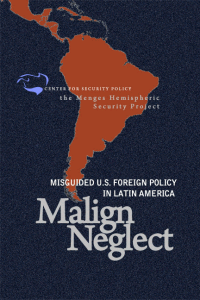 I consider Abro and McCarthy’s description of the Bolivian regime incomplete and, as a result, also misleading. Morales is turning increasingly authoritarian, as seen by the stifling of press freedom, the aggressive occupation of public spaces by government forces, the increased power of the government over the courts and other public institutions and the contempt for constituencies and civil society. I would argue that sooner or later the situation will explode. Let us take the example of Morales’s ally, Daniel Ortega of Nicaragua. President Daniel Ortega, like Morales, has maintained a pragmatic attitude towards the economy while reinforcing his authoritarian rule through electoral fraud and other mechanisms of illiberalism. The business class went along with Ortega’s authoritarian behavior out of self-interest. However, as the people of Nicaragua rebelled against the government, Ortega responded with brutally repressive measures. This shocked the Nicaraguan business sector, which then felt threatened by Ortega’s authoritarianism. The Nicaraguan Chamber of Commerce (COSEP) organized a protest against the government and joined the strikes that protested Ortega’s repression. Those protests left hundreds of people dead due to the government’s response. Given Ortega’s response, the business community was no longer willing to live with a murderous and repressive regime. Bolivia’s picture raises the possibility of a similar situation. Protests in Bolivia ensued last February as it became clear that Morales’s decision was to reject the people’s will. Students joined the protests. A student was killed. To gain some popularity Morales ordered a series of economic populist measures to increase salaries in coordination with trade unions while ignoring the business sector, altogether. In August, Morales was forced to cut his speech short during an Independence Day celebration as protests turned stronger and stronger. Even the indigenous populations that form the main constituency that brought Morales to power suffered repression. Indeed, as we pointed out indigenous people protested the construction of a highway and eventually Morales ordered that construction be discontinued. Yet, some indigenous groups abandoned Morales. Morales resented the protests and proceeded to influence and divide indigenous groups to force their leadership to be loyal to Morales’ Movimiento al Socialismo (MAS) party. Indigenous leaders observed that“loyalty to Morales has become more important than the cause of helping indigenous populations”. Furthermore, an indigenous judge was removed from office by the Morales- controlled senate for opposing certain government initiatives. Morales is surrounding himself with “yes men” and ideology is overcoming pragmatic considerations. Therefore, it is reasonable to think that sooner or later riots in Bolivia will intensify, just like in Nicaragua, which the government will most likely repress with brutality. There is no doubt that as Morales operates on two tracks maintaining a radical ideology with an element of economic pragmatism, it will be his revolutionary ideology that will prevail. Furthermore, like Venezuela, Bolivia could also turn into a full-fledged narco-state. Bolivia passed a law last year with great input from coca growers. The law allows for the expansion of the areas where coca can be cultivated. Likewise, the law allows the government to regulate the sales and distribution of the leaf. It is difficult not to see that state-sponsored drug production and trafficking couldeasily develop into a major criminal, authoritarian enterprise that will be hard to stop. Currently, Colombia and Peru are the largest producers of coca but such cultivation is illegal. With Morales’s legalization and expansion, Bolivia could well turn into a mega narco-state. As former Bolivian Defense Minister and now director of the Interamerican Institute for Democracy, Carlos Sanchez Berzain has repeatedly reminded usthat most of the coca produced in Bolivia does not reach the legal market. This is why at the UN General Assembly in 2016, Morales made a call to dismantle the Drug Enforcement Administration and close the U.S. military bases in the region. Currently, theVenezuelan and Nicaraguan crisis are occupying the U.S. and the Organization of American States’ (OAS) attention, which is a good thing. 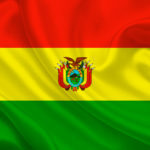 But it is clear that Bolivia is next to erupt and that this country needs to be closely monitored. Now is the time for the international community to speak up before it is too late.